In the space of the last 12 months, three creation-based movies have been seen as one-off events at movie theaters, distributed by the theater event company, Fathom Events. The first was Is Genesis History – a documentary compiled by Del Tacket, and featuring creation scientists such as Andrew Snelling, Robert Carter, and Danny Faulkner. The there was Genesis: Paradise Lost, which was created by my friends Eric Hovind and Ralph Strean, with a galaxy of creationist stars such as Ken Ham, Charles Jackson, Andrew Fabich, Bodie Hodge, David Menton, Georgia Purdom, and many more. Now there was Alien Intrusion, which was a bit different. I went to see this at the movie theater on Thursday January 11th 2018. Based on the book by Gary Bates, this movie follows Bates, as he describes his research into the phenomenon of alien visitation and abduction. Most such phenomena can be explained by naturalistic means, but there is a minority of such experiences where there is clearly something real that has happened to the experiencers, that has affected their lives. In most cases, these people want the experiences to stop, and are left depressed and anxious by them. Bates analyzes these more realistic phenomena from a biblical perspective and comes up with an explanation which is at once startling, but, in my opinion, convincing. I think you need to read the book or watch the movie to get the explanation. The movie included several other experts, as well as some fascinating personal testimonies. There was also some excellent film sequences, to accompany the argument. The topic is difficult for some Christians to accept, but I suggest it is an important topic, and am pleased that the movie worked so well. Are there any negatives? Just two small negatives. The first is really not the fault of Bates or his ministry (CMI). The other two films that I mentioned were screened at my local theater in Kelso, WA. But the number of theaters being used for Alien was much less, and I had to drive for an hour to the state capital, Olympia. This also led to small audiences. The theater auditorium that I was in had just 12 people in it, compared to a full auditorium for both the other movies. The second is that the movie did not start with a solid biblical presupposition. Indeed, one of the participants early in the movie started by mentioning the “Law of Causality”, but was really quoting the Kalam Cosmological Argument. I have explained in my book, Only Believe, why I believe we should not use the KCA. These negatives are minor, compared to the importance of the subject. I was glad that I had watched it, and I will definitely be wanting to get hold of the movie for screening in our Creation Center, if I am able. The Garden of Eden was paradise. The word paradise refers to a park, garden, or orchard. The connotations are that a paradise is a very pleasant place. Eden fits those criteria. God made a world that was perfect. He set Adam and his wife in a garden called Eden, that was to be pleasant and perfect. But then they spoiled it all, and lost paradise, by their sin. Specifically, Adam failed as our federal head, by disobeying God, and plunging every one of us into sin and death. Outside the auditorium, with our ministry&apos;s display and leaflets. Today, the majority do not believe this account is true. So, maybe eight or nine years ago, a talented animator called Ralph Strean, set up a company called Sevenfold Films in order to produce a 3D animation, so that people could see how the Creation could have occurred. 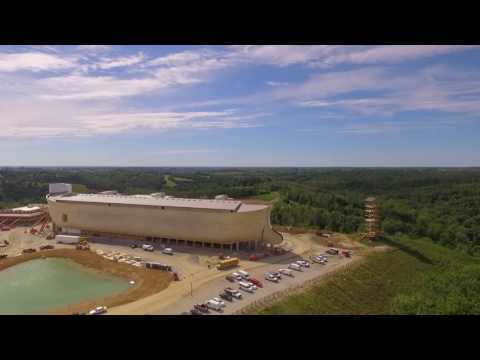 In 2012, Ralph moved to Pensacola, Florida, to team up with Eric Hovind and his Creation Today ministry, to be able to provide a solid creationist backing for the movie, and also to tap into Eric&apos;s boundless, boyish enthusiasm for the subject. It is his long-term commitment, coupled with his humor, that has kept this project alive. I cannot think of anyone else in creationism, who could have driven a project like this, while keeping so many people on board. And that is where I need to make a personal disclaimer. You see, at that time, I was working for Creation Today, so I have seen, and supported the project from very early. Ralph often popped into my office to clarify various issues on current creationist thinking. And because I had previously worked for Answers in Genesis, I was able to introduce Eric and Ralph to the folks there. The rest, as they say, is history. We all know that animations take a long time. But finally on Monday November 13th 2017, the finished movie was shown in movie theaters all over the US. Was it good? No, it wasn&apos;t good. It was absolutely magnificent! The 3D effects were amazing. I was privileged to offer a little initial information. But providing some of the factual information for the movie contributes nothing to the sheer artistic genius that is Ralph&apos;s work. A decade ago, I never could have imagined watching a visualization of the first chapter of Genesis. Yet this is exactly how I imagined the creation could have happened! I am confident that the word “genius” is not too high a word to describe Mr Strean, and his work. The movie also featured so many of my dear friends – Danny Faulkner, Bodie Hodge, Charles Jackson, to name but three. Movingly, the film did not pull its punches, and concluded with an excellent, biblically sound presentation of the Gospel of Jesus Christ. I loved this movie. I haven&apos;t seen the last three years worth of work, so it was a thrill to watch. And theater-goers had the privilege of seeing so much extra material before and after the movie. I am looking forward to the release of the DVD and video downloads. And there is going to be so much other stuff to go with it, including study guides, and discussion groups. I am thrilled by this movie. If you were not there on Monday November 13th, you missed a treat. But the treats are still coming. And, remember, there is a book to accompany this movie. It is called Genesis. One of the most fascinating local wildlife sights in November is that of Canada Geese gathering overhead, to fly South for the Winter. I remember such geese in Britain, where they have been introduced — but not as many as you see here on North America&apos;s East Coast. When I took my dogs out for a walk this morning, there were hundreds of these large birds, flying overhead, seemingly following the Cowlitz River. Why do birds migrate? Of course, in one sense, we know the answer. They are changing their climates. But how does an evolutionist explain why migration occurred, and how they laid the trails of travel to and from warmer climes? The enormous flocks of flying, migrating geese are an awesome sight. They remind us of the creativity of our Creator, who has made everything so well. I am taking part in a study on how to read the Bible. I will not name the study guide; there is much in it which is good, and much which is not. However, reaching a section on how to interpret narrative history, like Genesis, a commentary recommendation was made. As soon as I saw the name of the author of the commentary recommended—Bruce Waltke—I knew that I could not recommend that commentary. Perhaps I need to expand this book, to cover the whole of Genesis. It isn’t good to be negative all the time. So what commentary would I recommend? This is where I hit a problem. The overwhelming majority of the commentaries on the whole of Genesis are written from an old-earth, or evolutionary point of view. Granted, there are some very decent books about Genesis; The Book of Beginnings, by Henry Morris III, Understanding Genesis by Jason Lisle, and Jonathan Sarfati’s excellent partial commentary, The Genesis Account, which covers up to chapter 11. Even I have written a commentary on the first 11 chapters. The only whole book commentary, remaining faithful to the early chapters, appears to be Henry Morris The Genesis Record—but this was published in 1976, and the science (though not the theology) needs to be developed. Perhaps this is too great a task for one person. Perhaps we need a small team to produce a good commentary. Or maybe I need to get on with expanding my “The Six Days of Genesis”. Whatever the answer is, it definitely needs doing—fast! If someone is writing such a commentary, please let me know. If someone would like my input to a team implementing such a project, let me know. But let’s have a proper chapter-by-chapter commentary on the whole of Genesis, and let’s try to see it done within 12 months. One of the first Christian podcasts that I ever got into listening to was Wretched Radio. This show is presented by my good friend Todd Friel. It often seems like I have known Todd forever. However, I recently came across a show that we recorded the very same day that we first met. Todd&apos;s show is usually live every day. But during this holiday period, Wretched Radio is rightly broadcasting some old shows. Yesterday (Wednesday December 28th 2016) they broadcast a show recorded in Edinburgh, Scotland. Todd was visiting various places in Europe. At the time, I worked for Answers in Genesis at their UK office in Leicester, England. I flew up to Edinburgh for the day, and we recorded several segments – climbing up the Castle Mount steps to Edinburgh Castle, talking about the father of old-age geology James Hutton, and sharing part of my sermon on Can and Abel – this latter was recorded in the car, while they were driving me back to Edinburgh Airport! I have taken the liberty of grabbing the show and placing it here, so that you can enjoy it over again. It was recorded, I think, in 2009, and it was great fun to do. Cross Encounters is the name that evangelist Tony Miano uses for his ministry. It is also the title of his new book, which is clearly a labor of love – love for the lost, and love for the Savior. What is the difference between a teacher and a mentor? A teacher instructs the class and offers explanations. A mentor lives by example, and invites you to imitate him. A good teacher will often be a mentor, and vice versa. Tony can fulfill both roles. I have heard him teach in evangelism conferences. But in the book Cross Encounters, Tony fulfills the role of mentor. The subtitle of the book is A Decade of Gospel Conversations. Page after page, Tony explains how and why he got into conversations, and he reports on those conversations. As readers, we are invited to get as close as we can, in the pages of print, to watching an evangelist in action. The advantage of reading these encounters, rather than just watching, is that we are able to get inside Tony&apos;s head, because he explains what he was thinking at the time. When I first saw the reports of this book&apos;s advent, I hoped that Tony would be exercising the work of a modern day Ichabod Spencer (look him up…). I was not disappointed. If you are already involved in street evangelistic ministry, you need this book, to encourage you. If you are not yet so involved, you need this book to encourage you! Christians, you need this book. 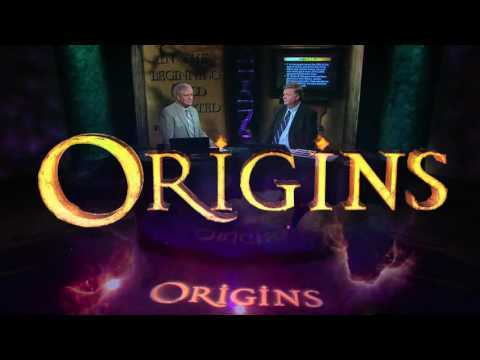 During 2015, I recorded 4 shows in the Origins TV series, broadcast on the Cornerstone Network, in which I was interviewed by presenter Dr. Donn Chapman. These shows can be viewed, using the Cornerstone Network, or through their Roku channel. Or you can watch them here! To enable us to keep these sort of activities going, please give generously, using the donation button on the right.